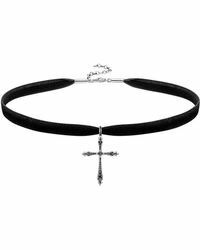 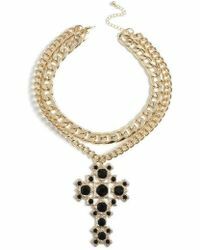 When it comes to dressing up or down, accessorising is key and that’s where cross necklaces come in to help you out. 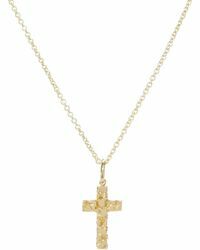 An iconic symbol and the number one statement piece, cross necklaces have been impeccably reworked throughout the years, creating a style to suit everyone. 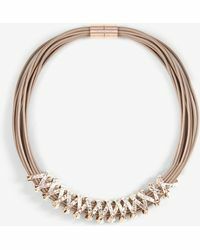 If you prefer silver-toned designs then David Yurman and Macy’s offer styles that have a legendary shape, or look to gold-toned pieces by Amber Sceats and Adornia for cross necklaces with a subtle edge. 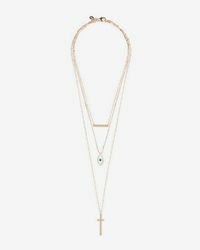 Diamond Cross Necklace In 14k Rose Gold, .25 Ct. T.w. 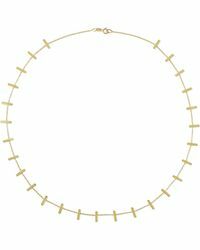 Diamond Cross Necklace In 14k Yellow Gold, .25 Ct. T.w. 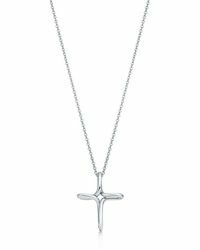 Diamond Milgrain Cross Pendant Necklace In 14k White Gold, .14 Ct. T.w. 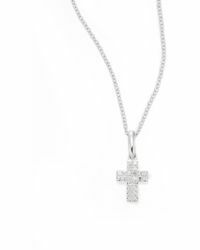 Diamond Cross Pendant Necklace In 14k White Gold, .25 Ct. T.w.